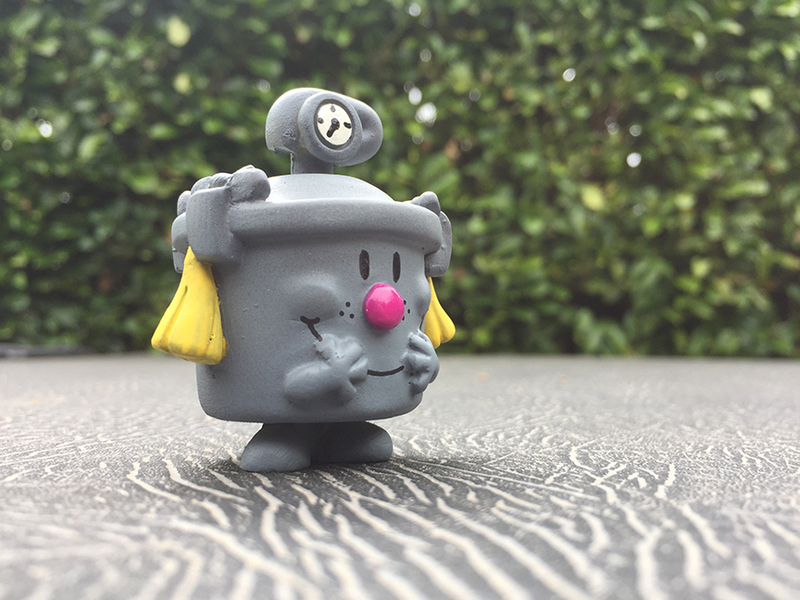 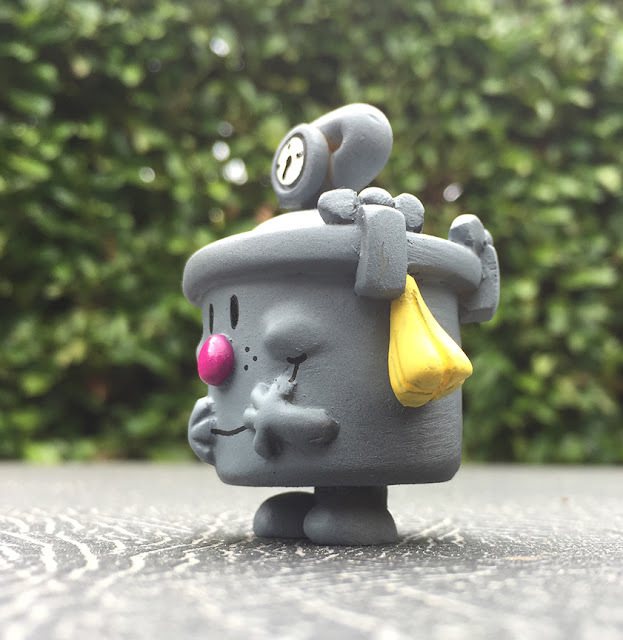 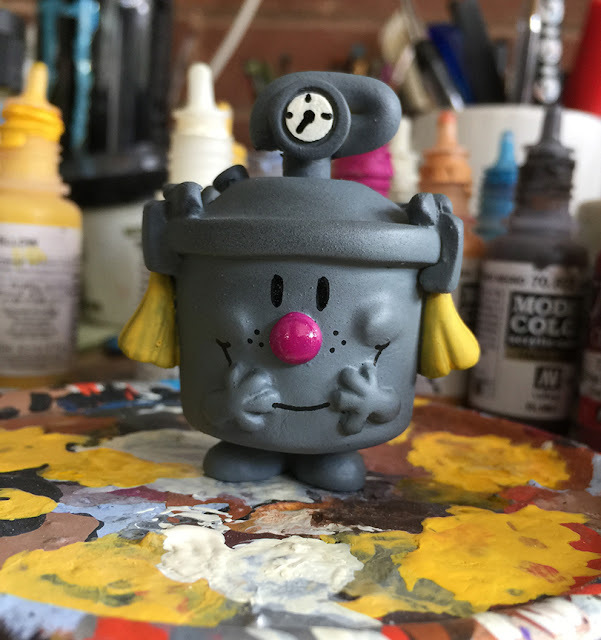 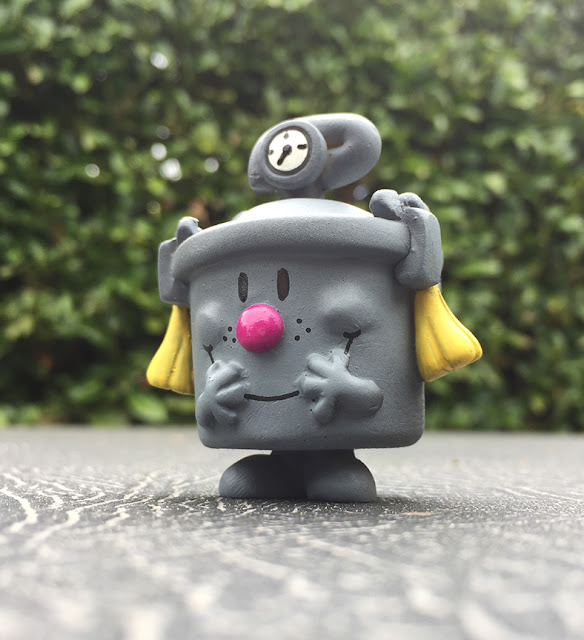 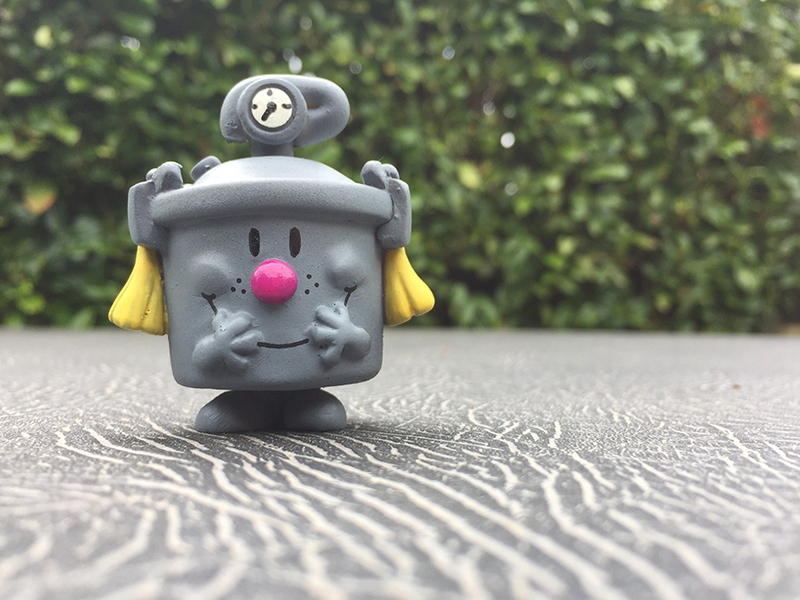 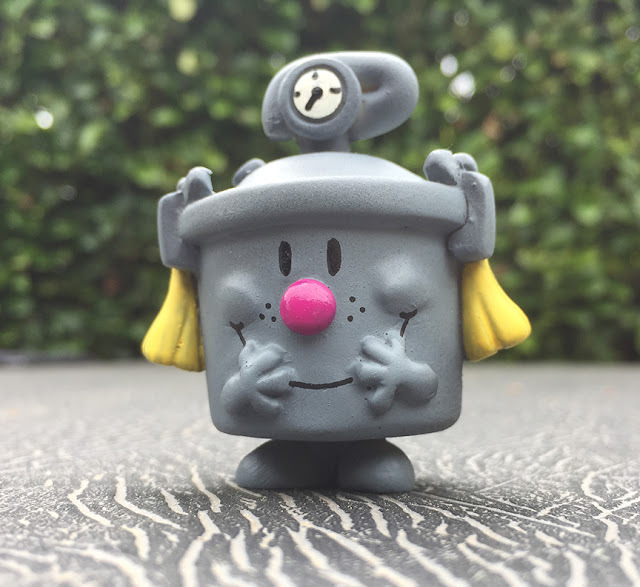 The third exclusive we are revealing is this Little Miss Pressure Pot figure by Rich Page aka UME Toys. This is a 2.5" tall resin figure which comes bagged with a header card and a custom sticker. 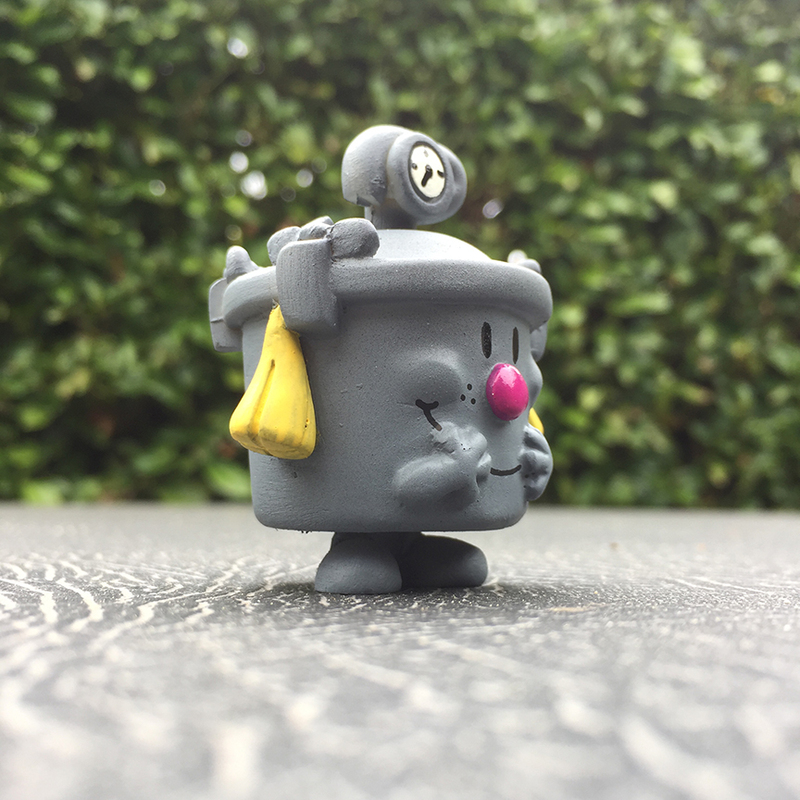 This release is limited to 10 pieces at $30 each. 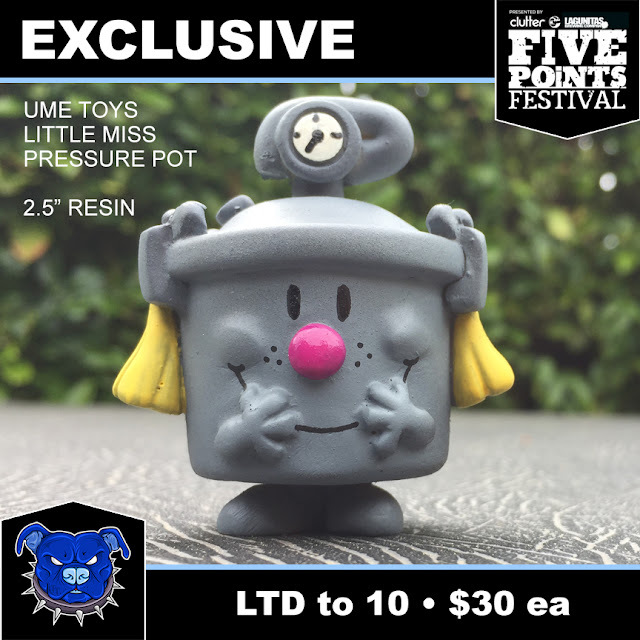 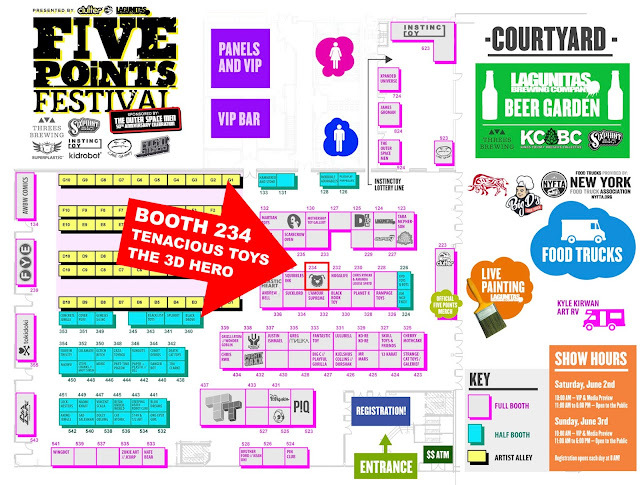 Find Little Miss Pressure Pot at Booth 234. 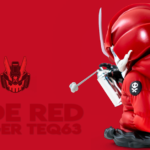 More pics after the map.